The book is A5, with 240 pages (about 50% more than the first edition), and is excellent value at £5 + P&P. It will be available to print on demand when the initial print of 100 copies has sold out. Order from Mike & Charlotte Bailey, 4 Grove Road, Shawford, Winchester, SO21 2DD, or by email. The back cover is a collage of MANY photographs of groups taking part in West Gallery music activities. Click HERE to view this image (3.4Mb!). In 1990 few people had even heard of West Gallery music, even fewer had done any research into its history, repertoire, or style, and the best advice that could be given to an enquirer was to read Thomas Hardy’s Under the Greenwood Tree . The West Gallery Music Association was a new organisation, and might not have survived, so it was almost a leap of faith for Gordon Ashman to invite me to write a short handbook for its members, published in 1995 as Good Singing Still. Now … the WGMA is firmly established, and is supported by over 30 revival groups (Quires). It publishes a well-edited magazine, which includes research articles as well as reports of members’ activities. Modern editions of WG music have been made available to WGMA members in what we call The Red Book, The Green Book, The Gold Book , and the Psalter ( Praise & Glory ), to scholars in a volume of Musica Britannica , and to the general public in the collections of local carols from Sheffield, Derbyshire, and other places. And this does not include the quantity of music researched by quire members, and made available to those who attend regional and national gatherings of the WGMA. 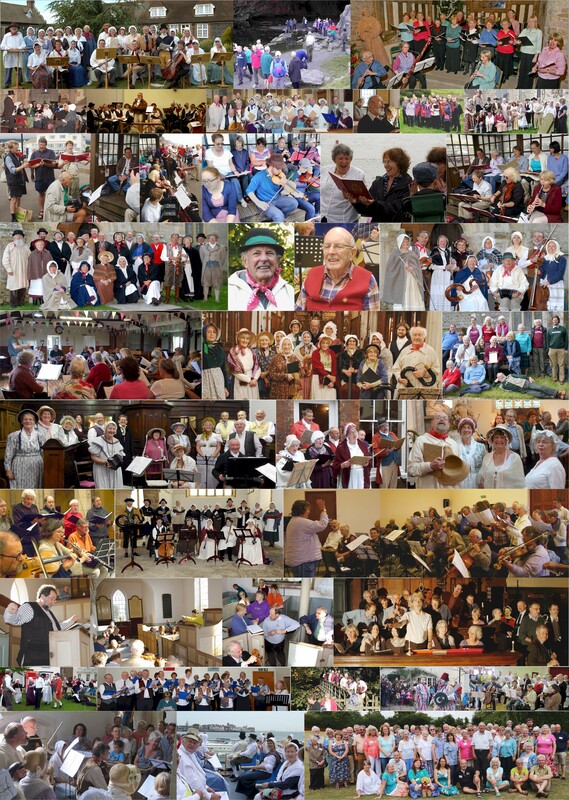 The Madding Crowd, for example, a quire in Hampshire, has over 800 items in its repertoire. Several Quires have issued CDs of their music; there is even a DVD from the Purbeck Village Quire. The conditions for compiling a book like this have also changed. In 1995 few people could access the Internet, and the WGMA had no website. Today one can assume that most Quires have members skilled at searching for information online, and the WGMA has an excellent website which contains much of the material that might have gone into a new version of Good Singing Still . For example, there was no reason to include an extensive account of the work of Thomas Clark of Canterbury here, when there is a full account in the website. Indeed, the former §3: Three West Gallery Composers, has been removed from the text. The website also includes an Art Gallery, reproducing contemporary drawings and paintings of WG quires, and a full listing of the contents of every issue of the WGMA magazine West Gallery . The WGMA is an unusual musical society, for its members include singers from great choral societies, church choirs, and folk clubs, and instrumentalists at home in an orchestra, and classically trained, in an early music consort, or from a ceilidh band, and often self-taught – yet these differences, and their prejudices, have not disrupted our mutual enjoyment of the music we have discovered. Discovered, indeed, for almost every new Quire found that their local Record Office held MSS that had not been opened for perhaps 150 years, that there was scope for proper research, and that their Quire could have as distinctive a repertoire as any original church quire. 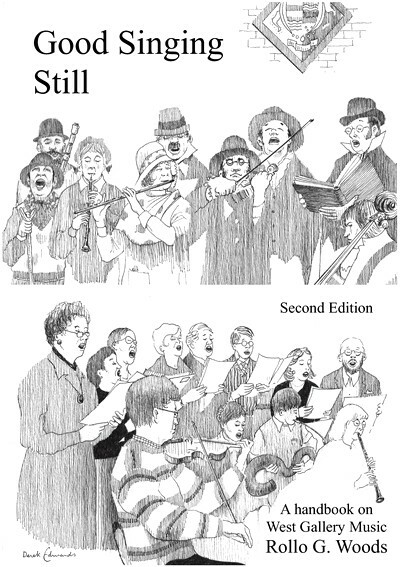 The original edition – 500 copies – of Good Singing Still sold out in about two years, and there was a demand for a reprint. I could not support this, for research had already revealed many errors in my text. For example, in 1995 I had said that no specific WG wedding hymns had been found, yet by 1997 I was able to circulate a few copies of an A4 booklet of wedding music, which included not only settings of the Wedding Psalm (Psalm 128 – BCP, OV, NV , etc.) but also a number of WG wedding hymns, with their tunes. There were also justified complaints that the book neglected important WG music traditions from the north and Midlands, biasing some of my conclusions. Today a new generation of researchers and quire members apparently still needs a basic handbook, and I undertook to produce a revised and enlarged edition. ... the text of the original was transferred to my computer in A4 format, and I have been able to update where possible, and to insert new material where necessary. … Because the book is intended to be both a text-book, read from cover to cover, and a reference book, to be consulted to answer particular problems, it is divided into sections, as before, though these are arranged in a more logical order, and new ones have been added. For this reason the same information sometimes appears in more than one section. There is also a substantial Appendix of quotations, etc. I also appealed for help from members to fill gaps in my knowledge. This new edition includes whole sections by Paul Gailiunas, Paul Guppy, Anthony Parkinson, and Jacqueline Patten, plus shorter contributions from others, including those who contributed to the first version. The text ends with an essay on WG music in Lancashire and Cheshire by a true scholar, Dr. Sally Drage. Its tone is different from the rest, showing how the music we collect, edit, and sing for our own pleasure, also merits scholarly study. As in the 1995 edition, I have made no critical assessment of any West Gallery music, and references have not been checked back beyond the sources in which I found them. ... I have at present no access to a research library, and have undoubtedly missed much information which should have been included in this work. The book as a whole is nevertheless my responsibility, and I hope it will prove useful to members of WGMA.